Most of the following books are written by Native Christian leaders and by those serving in Christian ministry to Native North Americans. Others are included because of their relevant content. What does it mean to be Aboriginal and Christian? Parry Stelter (Metis-Cree), originally from Alexander First Nation in north-central Alberta, responds with care and concern, looking to the authoritative truth of God’s Word. Dr. Allan Effa (Ray and Edith DeNeui Professor of Intercultural Studies at Taylor Seminary – Edmonton, AB) says, “A Word of Hope offers a sympathetic, yet biblically-grounded perspective on how to faithfully live out the Christian faith in ways that are authentic to Aboriginal cultures. Stelter offers a well-researched guide that is not only academically sound, but reaches deeply into his own experience at the heart of cultural identity. In this booklet Bill points out the importance of sticking to the Word of God, as he clarifies a subject that is often misunderstood. Bill includes the story of God’s hand in his own physical healing, but reminds us that our physical health is just part of something much more important. Theories abound as to how the Indigenous Peoples came to be in North and South America. Was it by way of Alaska and the Bering Strait, or other land bridges? Was it by boat? Interestingly, it’s not a question at all for many North American Indigenous people. “We’ve always been here” is the thinking of many. Two practices greatly misunderstood and misused. 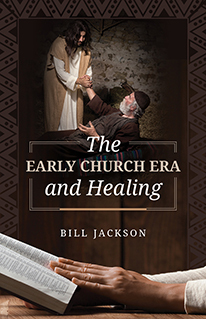 Native pastor Bill Jackson takes us back to the Bible to discover Jesus’ original intent. Issues facing First Nations families are dealt with using Scripture to show God’s plan for the family. Native pastor, Bill Jackson (Cree), alerts readers to the dangerous deception now being taught under the guise of culture. Addresses the topics of: premonitions, visions, dreams, being “slain in the Spirit,” voices … and how we must rely on God’s written Word. Suicide — a sobering reality in many Native communities. The reader is directed to hope for living. Language, culture, religion, racial prejudice — some of the topics discussed … and God’s plan for First Nations. Look for As Long As The Rivers Run by Bill Jackson in the Life Story Books section. A book about the root causes of alcoholism and how to deal with them. It gives help and hope to those who are caught in substance abuse and those who work with them. Designed as a guide and discussion manual to go along with The Grieving Indian book. Can be used for individual or group studies. Does The Owl Still Call Your Name? Going beneath the surface of human behaviour, eight social crises are covered providing information, personal stories, and contacts for help. A collection of 70 personal stories of Native people who found Jesus Christ to be the One who set them free from the problems in their lives. This second volume contains unusual and amazing stories of how Jesus set people free from destructive habits, restored marriages and brought healing to hurting people. The author, Craig Smith (Chippewa), examines Christianity and how it has affected Native Americans. His experience has led him to believe that change is desperately needed in both Native and church communities. Stories heard from Native elders that will help teach families the way to live and to remember lessons about the power of God. Published by NAIM Ministries. Short stories on a variety of topics with Scriptural applications and lessons. The use of cultural objects and practices in Christian worship has polarized First Nations believers. Here’s an approach that will bring harmony and deeper faith! A unique book which will restore Native men to the proud heritage they once were as leaders and caregivers for their families. From Indian Life books. By David Hertzler. Howard Jolly explains how sexual abuse has damaged and destroyed many lives. He calls the victims of sexual abuse “the walking wounded.” He also explains how God can heal wounded hearts. A unique devotional book taking lessons from animals, revealing God’s creative powers. By Owen Salway. A collection of humorous stories from the late Owen Salway’s newspaper and radio features. Authors Phil DuFrene and L.W. Elford discuss how our Enemy tries to snare people, and how to get out of those snares. Over 80 devotionals written by Native Christians. Inspiration from Indian stories, proverbs and psalms. This book encourages husbands and wives to enrich their marriage and family life through Bible-based guidelines. Discusses the Christian’s place of victory and opportunities for cooperation with Christ in His battle against the adversary. By F.J. Perryman. Discusses the need of resisting our adversary, the devil. By F.J. Perryman. In this revised edition, you can read sections on understanding alcoholism, ways to help the alcoholic, and ways the alcoholic can help himself. By Jerry Dunn. Murray Richardson takes our gaze from beyond the serenity of the heavens to an invisible spiritual battlefield where the prize is life or death, heaven or hell. By Alfred H. Pohl. A book that has been used to clear up much misunderstanding of doctrines, emphases and practices. The author seeks to understand the ministry of the Holy Spirit in the book of Acts and relate it to some of today’s movements. By Alfred H. Pohl. Click the Facebook icon to visit NCEM's Facebook page.